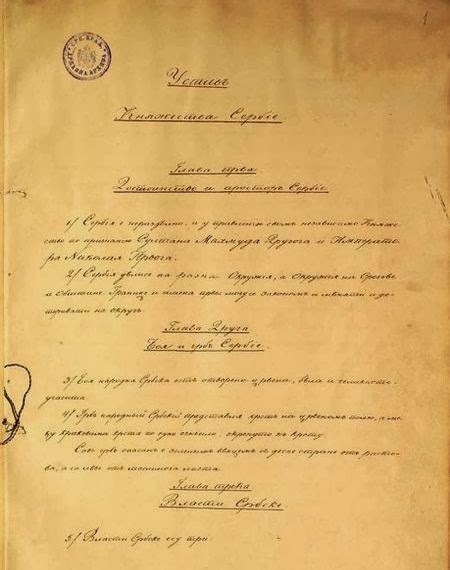 The first page of the "Sretenjski" Constitution, 1835.
and gave large authority to the assembly. The last page of the "Sretenjski" constitution, 1835.
and other important figures of that time. 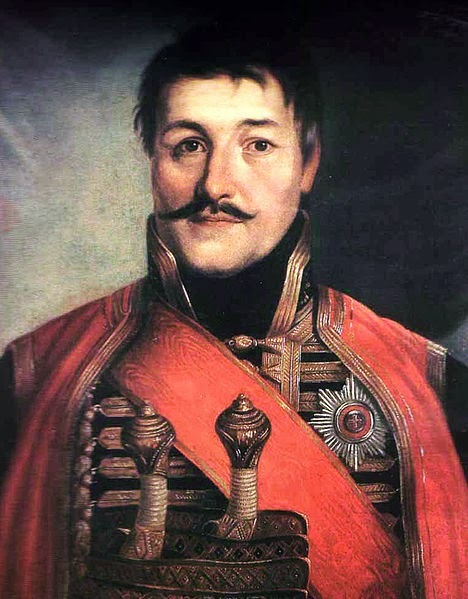 "On February 15th, 1804, on the Candlemas (Serbian - Sretenje, the Presentation of Jesus in the Temple), in the village Orašac, Karađorđe Petrović started the uprising of the Serbs against the Turks which led to a total anti-Turkish revolution. 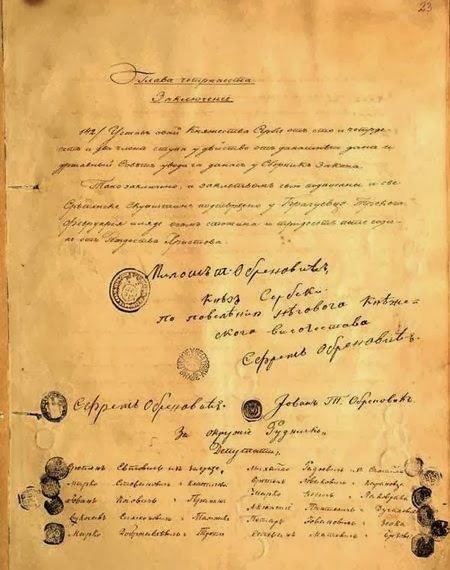 In 1835, on the same day, the first constitution of Serbia was proclaimed. The documented history of Serbian medieval statehood starts long before that, with their settlement around Thessaloníki during the rule of the Byzantine emperor Iraclios (610-641 AD), and the first documented ruler of Serbia was prince Višeslav (768-814 AD). The medieval Ottoman empire invaded medieval Serbia in 1459, but in 1804 the history of the modern Serbian state began."